Hidden deep within an AMA Pro Racing press release touting the upcoming Daytona 200, it was revealed that FansChoice.tv will be the official home for live streaming coverage of AMA Pro Road Racing and AMA Pro Flat Track events in 2014. This news comes as the series has been quiet about TV coverage for this season. If you’ll remember, the event at Laguna Seca last year, run as a support class to World Superbike’s return to the track, wasn’t televised. In response, the Michael Jordan Motorsports team of Roger Hayden and Danny Eslick pulled out of the AMA race and entered in World Superbike instead. This gave the team sponsors valuable exposure in front of a worldwide audience. 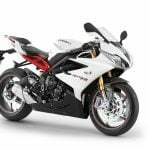 As far as the Daytona 200 itself, this year marks the end of the 600cc era, as literbikes will rightly assume their natural place back in the 200 starting in 2015. 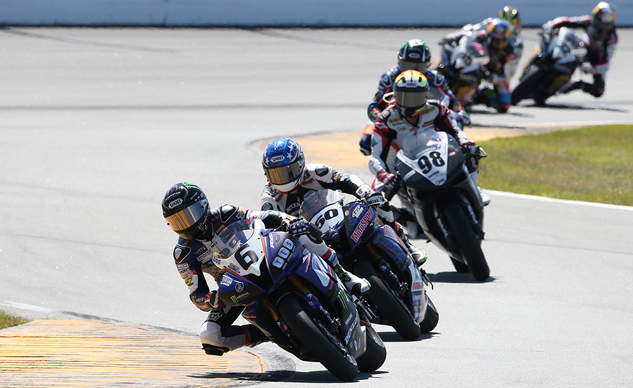 However, this year’s field lacks no shortage of riders with a very real shot at the win, especially as reigning Daytona Sportbike champ, Cameron Beaubier, has graduated to Superbike. 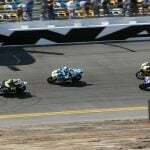 The Daytona 200 should be an epic showdown this year. Be sure to catch it on FansChoice.tv. Complete details about FansChoice.tv will be released in the coming days.